Includes 2 finders - makes finding a lost downed r/c model easy! Loud 85 decible alarm - to activate simply turn off your transmitter after 10 seconds the alarm will begin to beep. 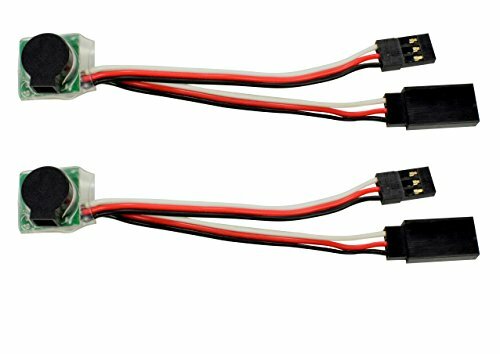 Super easy to install - plugs directly into the receiver or inline with a servo. Input voltage 4. 8v - 6. 0v.